Each child is unique and so are their listening needs. With a wide array of Phonak hearing aids and Wireless Communication Accessories, there is a technology solution for every age of child. From an infant that was newly diagnosed to a tech savvy teenager, Phonak understands their desires for technology that not only provides optimal hearing, but is also fun to wear. Discover the performance and design of the Phonak Sky. The latest family of hearing aids designed for kids. 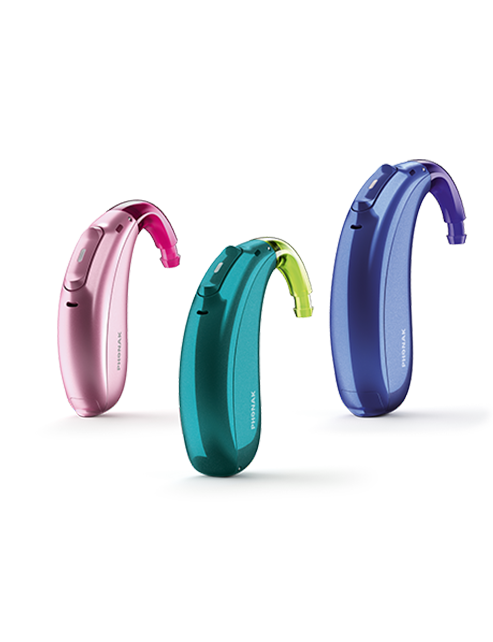 There is a Phonak Sky hearing aid for almost all hearing losses, communication needs and personalities. Phonak Sky hearing aids have been designed with a child’s yearning for fun and exploration in mind. Our hearing aids are resistant to water, sweat and dust, making them the perfect activity companion. Phonak Sky allows children to express their own personality by customizing their hearing aids, thanks to ability to choose colors for housings and ear hooks. 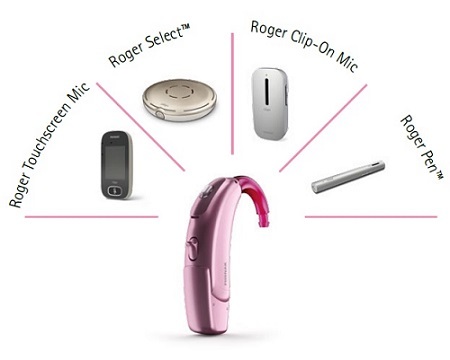 Many situations can pose a listening challenge so that sometimes even the most advanced hearing aid technology needs a boost. With our wireless accessories, your child can communicate more easily and connect to today’s audio technology, such as cellphones, Bluetooth devices, MP3 players and TVs. Hearing care professional can help you make the choice that is perfect for your kid. Visit a Phonak Certified Pediatric Hearing Center to ensure the best for your child's hearing.